Classic Interiors has recently opened its exciting new showroom within It's sister company Russell Francis Interiors in Nuneaton, Warwickshire. Classic Interiors has been established for over 30 yrs and has a reputation for supplying high quality soft furnishings and furniture. We offer a full interior design service and can help create your dream home. If required carpet fitting in the morning followed by the curtains suite and furniture delivered all in one day by our professional team. Our experienced and friendly team will help and guide you to create your dream home. From a single roll of wallpaper to full house design plan. We also offer a full re-upholstery service. 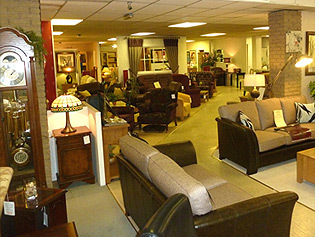 Our extensive showroom is conveniently located just outside Nuneaton town centre with free customer parking. 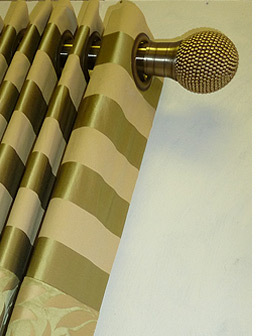 We host a large library of wallpaper, upholstery and curtain fabrics with co-ordinating poles, tracks pelmets, trimmings, cushions and blinds. Which can all be made to your individual specifications and requirements. Alternatively, we can visit you in the comfort of your own home to discuss your requirements and provide a no obligation quotation.